Four World Mixed Doubles Curling Tour Stops Added in Saskatchewan will boost opportunities for Canadian curlers interested in the new game. Saskatoon, Saskatchewan - Few can argue with the fact that mixed doubles curling was a huge hit in its inaugural inclusion in the Olympics this past February. With its faster pace, quicker games, and requirement of more athleticism from the competitors, it is little wonder that the game is taking off with both curlers and fans of the sport. A group of curlers in Saskatchewan are working hard to take advantage of this momentum with the creation of a Saskatchewan Mixed Doubles Curling Tour. Saskatchewan events are first out of the gate for this coming season, but similar work is happening in many other provinces as well. "We have had numerous conversations with curling clubs across Saskatchewan wanting to host an event. Not just the larger cities, but some very rural areas of the province as well. It is great to see that there is a huge interest around the province for hosting mixed doubles curling events", says Just. 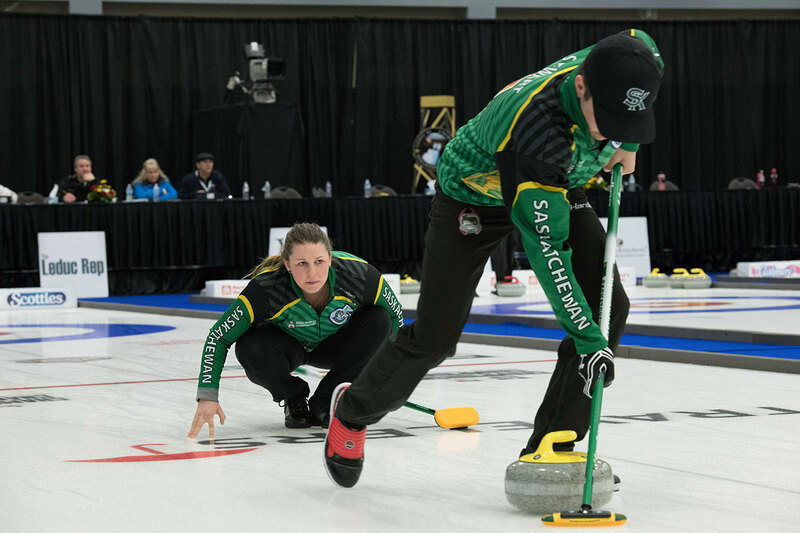 "The Saskatchewan Mixed Doubles Curling Tour (SMDCT) Committee has been collaborating very closely with CURLSASK to ensure the success of mixed doubles curling in Saskatchewan. We are extremely grateful for everything that CURLSASK has been able to support us with as we move forward with the creation of this tour. This tour is something that will benefit us all and we appreciate that we have such a strong sport governing body to work with," says Just. Due to various factors such as the qualification process towards the Olympics, the amount of mixed doubles teams, and the number of events in Canada, many competitive mixed doubles curling teams also compete with their traditional four-person men's and women's teams. There are a number of teams that have already started to give priority to mixed doubles curling. One such example is seven-time Saskatchewan Men's Tankard Champion Steve Laycock who will be partnering with Kristen Streifel, who herself is a recent Canadian Junior and University Champion. Although both are still busy competing with their traditional four person teams for the coming season, they are prioritizing playing in at least five mixed doubles tour events. "For me, it really came down to it being too exciting of a format to pass on", says Laycock. "As a player, it is much more physically demanding than traditional curling, and forces you to be a more complete player. With it being in the Olympics now, it is really exciting to be a part of the growth of the sport."